Is Click N'Flip A Scam? The ONLY Review Telling The TRUTH! Is Click N’Flip A Scam? The ONLY Review Telling The TRUTH! Is Click N’Flip a scam or a legit money-maker? Let me start by commending you for doing your research on this latest program by Teo Vee before jumping in and handing over your money. It’s this due diligence that will protect your from all the hyped-up get-rich-quick scams out there and lead you to the real way of making money online. So what’s really going on with Click N’Flip? ‘Teo Vee’ is a guy who claims he went from making money flipping burgers to making money flipping pictures, all thanks to a French child genius who showed him the way – yeah, it’s a crazy story with outrageous income claims that just don’t add up. There’s nothing real or legit about Click N’Flip – the names, video testimonials and income generating methods are all lies created to manipulate and deceive. Not only is Click N’Flip a scam, but it’s a dangerous and costly one that leads it’s unsuspecting victims through a downward spiral of higher and higher-priced upsells leaving them $1,000’s worse off. What Is Click N’Flip About Exactly? Can You Really Make Money With Click N’Flip? Is Click N’Flip A Scam? Here’s a guy trying to sell you on his ‘crazy simple trick’ to using pictures as a way to create a consistent online income. All we know from the landing page and sales video is that apparently there’s a webpage out there that lets you click and flip pictures and get solid payouts. Instead, the video goes on about how Teo was working in a deli store in New York and had his car repossessed. He was a complete failure. Until of course – he had a big breakthrough one day at church. He was introduced to a 14 year old French genius (yes, that’s really what he says!) and his eyes were forever opened. This little kid blew Teo’s mind when he sat down and supposedly ‘dragged and dropped’ an image. Then they waited… until suddenly the picture got a click! After a few minutes, this French kid had made $400 in sales! Sales of what, exactly? We’re never told. He could be talking about making money with online ads or affiliate marketing… either way it’s never as straightforward as simply copying and pasting random pictures and waiting for people to click on them. The video ends by telling you to click on the ‘add to cart’ button to get the full course on how to ‘click and flip’. This is a funny question to answer because, well… clicking and flipping pictures isn’t actually a money-making thing. How can it be? Sure, it’s a catchy name for a training course, but as a business model it just doesn’t make any sense. Click N’Flip makes a lot of big promises but offers very little substance. 4 BIG Click N’Flip Red Flags To Watch Out For! 1. How much is it again? There seems to be a lot of confusion over how much Click N’Flip actually costs. Hit the ‘add to cart’ button and you’re taken to a form to add your payment details, only this time you’re asked to pay $97. This means that, even though this is being advertised at $47, the actual price is $97. If they can’t get even get a simple thing like the price right, what do you think the quality of their training is going to be? That’s right – there’s nobody out there who has gone through Teo’s course and gone on to make millions. But what about those video testimonials we saw from members who said they’d made like $80,000 in a day? Completely fake! These people aren’t members at all, but paid actors reading from a script! If a program is legit they’ll have a never-ending line of successful members more than happy to share their success stories. In this case they have to resort to paying people to say the system works. Obviously, when a get-rich-quick guru comes along claiming to have a foolproof money-making formula has to resort to using fake success stories, this is a HUGE sign this is not what it’s cracked up to be. All those promises about how you’ll be making $1,000’s on your first day – utter nonsense. Even the disclaimer at the bottom of th Click N’Flip website says, “No income claims are made, implied or guaranteed.” – definitely NOT what they said in the video! Click N’Flip owner ‘Teo Vee’ is actually Teo Vanyo, the same guy behind a whole plethora of programs like Social Stinger, Get This Plan and The Ecom Club. All bizarre and elaborate scams making all kinds of crazy claims to draw people in, then leaving them high and dry. You’ll find a TON of negative reviews and complaints about Teo and his get-rich-quick schemes on sites like Better Business Bureau. This scam victim lost $2,000 on what started out as a $49 product! How did she lose $2,000? Well, as I’ll show you in a second, the $49 you pay for Click N’Flip marks just the beginning of a very long and expensive sales funnel. Online con-artists know that asking people to pay $2,000 upfront will just scare them away, so now they take a more subtle and sophisticated approach. They begin by luring you in with promises of instant, easy cash and asking you to pay just a small ‘investment’ of $49 to show you’re serious. Once they’ve got you in the door and know you’re a buyer, they’ll start to ramp up the aggressive sales tactics. Remember the ‘personalised, dedicated help and support’ Teo promises you in the video? He says he has a team of advisors ready and waiting to guide you every step of the program. With crazy stories about a French child genius making money flipping pictures, the fake names, fake success stories and hundreds of complaints – yes, Click N’Flip is a scam in my opinion. Not only do you not make any money with this program, you could end up losing up to $10,000. If you want my advice, stay away from Click N’Flip and keep your money in your account where it belongs. If you’re sick and tired of hitting your head against a brick wall with get-rich-quick schemes and time-wasting scams that get you nowhere, let me offer you a better way. I’m anything but a technical whizz, yet because I followed a legit step-by-step training course and applied what I learned I became very successful. I’ll be honest with you – it didn’t happen overnight and I had to work hard at it, but if you’re ready to take action then you CAN build an online business for yourself that’s very profitable. The training course I’m recommending? It’s completely free to start so you can put your wallet away. So whatever your online income goals are, hit the button below to find out how you can turn them into a reality. I am glad to found this post. WOW, crazy and expensive scam. Loosing up to 2000 on this ugly scam is horrible. I see people all around searching for some real and legit way to earn money online (as I see some of them even ready to invest 2000 dollars). Pity there are so many scams online. That creates highly untrusted environment for starting online business. I’ve checked the platform you recommended. Actually, this seems to be the best deal I’ve seen. They are offering a basic training course, possibility to open own website and use a keyword research tool with limitations of course but for FREE, this is amazing. I saw your story as well, so how long does it take to earn money online? It’s so true – there are a lot of people out there like me who make a full-time income (more than) from my websites so it definitely is possible. The problem is you have to break through a wall of scams before finding a legit program that actually works and a lot people lose too much money to half-baked trainign programs and after seeing no results, just quit. Yes one of the reasons that program gets my highest rating is because people can test drive the whole program for free as a Starter member. As you say, there’s a free 10 lesson course on getting started as well as free website builders and hosting. There’s the option to go Premium if you want ($47/month) but only if you’re feeling like this is definitely the direction you want to go. I started in March 2014, made my first sale 2 weeks later (just $1!) but that proved to me it worked. 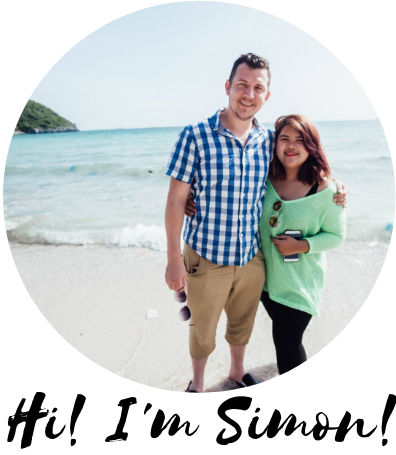 At the 6 month mark i was making a consistent income and at 12 months I quit my job and bought a one-way ticket to Thailand and never looked back! I worked hard, especially in those first few months but it definitely pays off in the end if you stick with it. Someone sent me an email telling me about a unique online opportunity that sent me to the Click N’ Flip website. I’m glad I found your review before I did anything. A French genius? Haha, what a joke. And you have to pay $49? What’s sad is that a lot of people desperate for money will fall for this and will eventually realize they have been victim of a scam. I know because I fell for one a few years ago, even though I was aware that there were scams out there and sharks waiting for you to plunge into the deep ocean. Anyway, thanks for making us aware of this product. Keep it up! That’s great to hear Ben, even just saving 1 person form falling prey to this scam artist makes it all worthwhile! Scams are getting more and more sophisticated as people learn what signs to look out for. Even 20 years after the birth of the internet, it’s still the wild west out there with too many people putting in scammers pockets. One of my personal goals is to stop making scams profitable so there’s less of them around – one can but hope!